Honda typically shows concepts only when a new vehicle is already in the works. 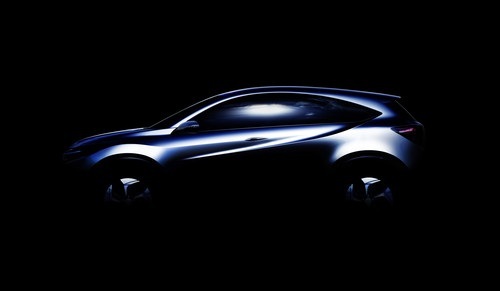 In January the world will see a new Honda Urban Utility vehicle. When the word “Urban” is used in the description of an automobile it usually means three things; 1) Small 2) Slow 3) Crazy fuel efficient. There is no doubt that Honda can create a slow, small, fuel efficient SUV. Honda says the vehicle is to be a global vehicle (another hint at small) and that it will have a “sporty and dynamic SUV profile.” Hmm. It sounds like somebody at Honda may have wandered past the 40 mpg Mazda Skyactiv CX-5. If our hunch at TN is right (and we are on a real roll lately predicting the outcomes of SUVs) this new vehicle will compete directly with the Nissan Juke and Mazda CX-5. The Juke will be the likely size of the new Honda and the sporty look of the CX-5 will be the target for Honda’s new vehicle. The CRV is already a good size, very popular model. However, it has become very plain. It screams “Mom!” when one looks at it, and very, very few single metrosexual males are lusting after CRVs on dealer lots. This is not so much a problem for Honda as an opportunity. All of its main vehicles sell well and likely are profitable for the manufacturer. However, it is time for Honda to look beyond the Fit and Civic to continue to pull in first time auto buyers graduating from college (art college). We could be way off base her at TN, but we will know one way or the other in January. Honda plans to show the new vehicle at the Detroit show. That is an apt launch site, Detroit being urban and all.